Payroll, although a necessary function of business, can be time consuming and frustrating. Think of how much time you would have to GROW your business if you didn’t have to worry about the payroll nightmare. Look no further! Priority Payroll can help! When it comes to paying employees, Federal, State, and Local laws can make the payroll function a time consuming nightmare for the small business owner. 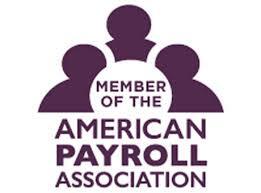 Small business owners spend an average of eight hours a month performing payroll functions. That’s 12 full days a year that could be spent generating sales, prospecting new business opportunities, improving products and services, or servicing customers. We offer payroll solutions that meet your business’s needs and enable you to spend time doing what you do best–running your company. It’s a Time Saver: Our payroll service eliminates the burden of customizing, updating, and maintaining your own payroll system–no more data entry, no more researching updates or new laws, and no more worries. Worry Free Payroll Tax Filing: Eliminate the risks of calculating and filing your own payroll taxes by having professionals do it for you. Federal, state, and local payroll tax laws are frequently changing and becoming more complex. How much time do you want to spend learning all the rules and keeping your information up to date? Allows You To Focus On Core Competencies: Our professional staff allow you to focus on the core competencies of your business. We are accounting professionals–you get the experts working for you and with you. Comprehensive Reports: You get a wide variety of user-friendly and accurate payroll reports. For a nominal fee, we will include certified payroll, workers’ compensation reports, and much more. Payroll checks prepared and printed on-time, every-time. Direct Deposit of payroll checks. User friendly, and easy to understand, monthly, quarterly, and annual payroll tax reporting, including W-2, W-3 and 1099 forms. User friendly, and easy to understand, monthly, quarterly, and annual payroll tax reports, including W-2, W-3 and 1099 forms. In order to give you an accurate price for our payroll services we need to know a little more about your business and what services you’re interested in. Our prices are very competitive and you also gain a trusted business partner that takes an active interest in your success and in the community.